I had a profoundly bad 2014. I’ve written about it before, but the short version of the story is that I lost multiple people that I loved in a heart-breakingly short span of time, and by October or so, I had started making a lot of dark jokes about being cursed, about how 2014 wasn’t going to let me get out of it alive. Like so many of the songs on The Mountain Goats’ magnum opus, The Sunset Tree, “This Year” is a song about escape. 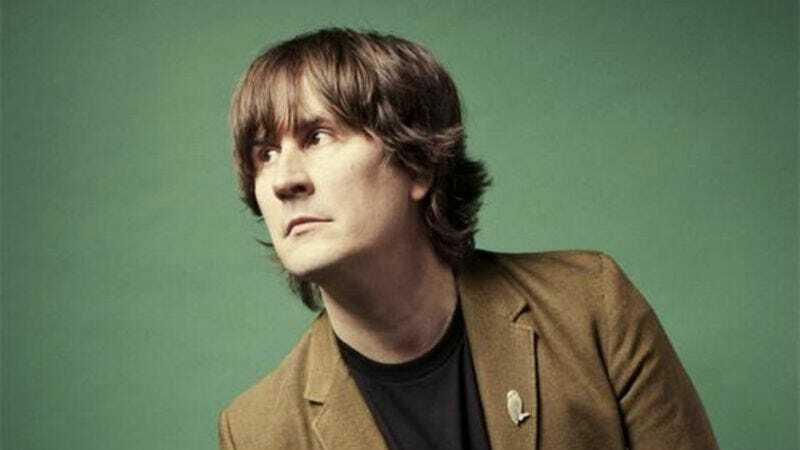 (John Darnielle, the lead signer, songwriter, guitarist, and heart and soul of the band, created the album as a reflection on his troubled childhood, growing up in the home of an abusive stepfather.) But where the album’s other “escape” songs—the ironic “Dance Music,” or subtly sinister “Up The Wolves”—focus on introspection or revenge, “This Year” is about one primal thing, something I could connect to from within my sorrow: Survival. I may not have been a 17-year-old boy, counting the days until I was free from my stepdad’s reign of tyranny, but I could identify with the need to endure that burns like a torch from within the song, the defiant laugh that Darnielle drops into the lyrics when he describes his escape from his broken home. And belting the chorus along with the song, shouting out, “I am gonna make it through this year, if it kills me,” at the top of my lungs, I could almost believe it. “This Year” isn’t a happy song, or a love song, for all that it talks about the solace to be found in Cathy, Darnielle’s “twin high-maintenance machine.” But it is a song about hope, about the idea that there will be “feasting, and dancing, in Jerusalem next year,” if only we can keep our strength up long enough to reach it. As this year—a much better one, blessedly—comes to a close, it’s a message, and a song, that I still like to hold close to my heart.